Found just off the coast of North Carolina, the Outer Banks are an inviting chain of islands that offer beautiful beaches, national parks, and a rich history. Most visitors come here during the summer, when the weather is perfectly suited for fishing, birdwatching, camping, and enjoying the natural beauty of the islands. However, the excellent selection of museums and historical sites mean that there are plenty of things to keep visitors occupied year round. 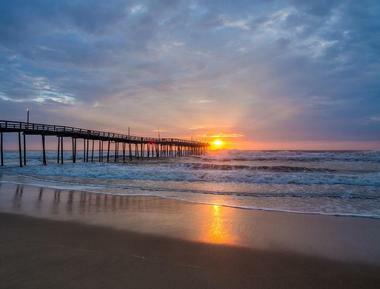 Whether you're trying to plan a family-friendly vacation or a romantic getaway, here are the best things to see and do in the Outer Banks. The Wright Brothers National Memorial is a tribute to Wilbur and Orville Wright, who achieved the world's first successful airplane flight on December 17, 1903. 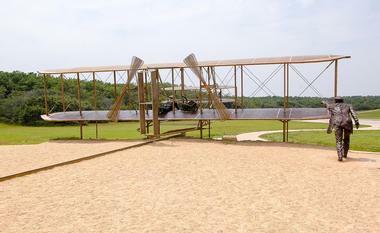 In addition to viewing the monument, visitors will get the opportunity to look at a replica of the brothers' camp and airplane hangar, see the exact spots where the first take-off and landing took place, and admire a life-sized sculpture of the 1903 Wright Flyer. A state-of-the-art visitor center offers interactive exhibits and a book store, and the park is open between 9 a.m. and 5 p.m. every day of the year except for Christmas Day. 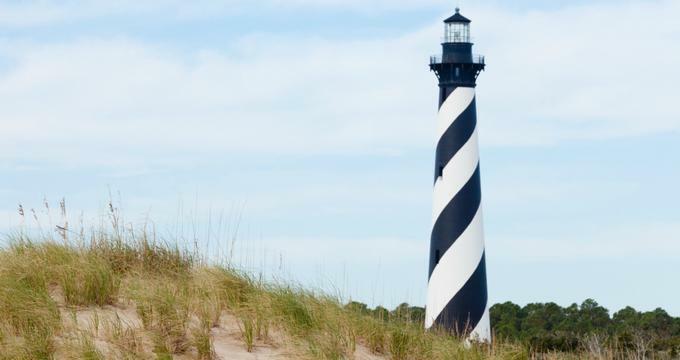 Found at the very end of the Cape Hatteras National Seashore, the Bodie Island Lighthouse stands 156 feet tall and is one of less than a dozen brick lighthouses left in the United States. The structure was opened to the public in 2013, but it originally dates back to 1872. The lighthouse is open to visitors between the third Friday in April and the second Monday in October; the climb requires visitors to climb just over 200 steps and takes approximately 20 minutes. 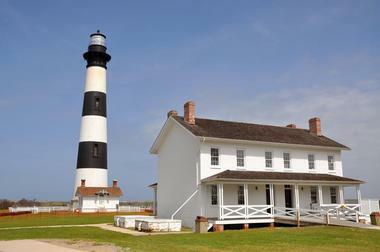 Only eight visitors are permitted on the lighthouse at a time, and tickets are required. Home to more than a dozen species of rare plants and animals, the Buxton Woods Coastal Reserve encompasses approximately 2,500 acres of land on Hatteras Island. Stepping into the Buxton Woods is like stepping back in time; the land is almost completely undeveloped, just it was thousands of years ago. Most visitors head to the interpretative trail that starts just outside the village of Buxton, but plenty of unmarked trails wind their way through the woods as well. These trails can be quite confusing, so visitors who want to explore them are advised to bring a GPS system or a cellphone. 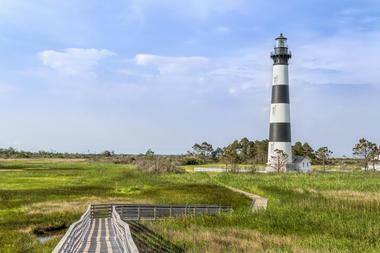 Stretching for more than 75 miles from Bodie Island to Ocracoke Island, the Cape Hatteras National Seashore is the country's first national seashore. There are plenty of things for visitors to see and do here; highlights include kayaking the sound, climbing one of the lighthouses on the shore, and marveling at the sea turtles that nest on the beaches during the summer months. The area also offers some of the best fishing and surfing on this side of the country, and visitors who want to spend the night here can do so in one of the park's four campgrounds. Located on the outskirts of the tiny town of Rodanthe, the Chicamacomico Life-Saving Station is one of the most complete life-saving stations in the country. The site is home to two stations and five exhibit buildings filled with information on the history of maritime rescue, and it typically takes between 1 and 2 hours to explore. Self-guided tours include the opportunity to watch an educational video, and special presentations are available for groups of 20 or more people if reserved at least two weeks in advance. The station is open between mid-April and November, and rescue demonstrations are held during the warmer months. 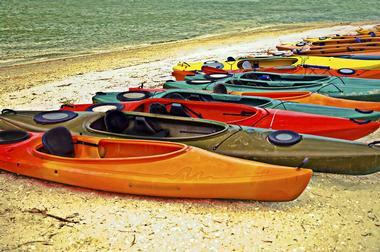 Opened in 1999, the Coastal Kayak Touring Company offers guided kayak and standup paddleboard tours from six different locations throughout the Outer Banks. Popular destinations include the Pine Island Audubon Sanctuary, beautiful Kitty Hawk Bay, and several local wildlife refuges that provide the opportunity to spot alligators, bald eagles, and plenty of other animals. Night tours of Pine Island are sometimes available as well, but visitors interested in this trip are recommended to book in advance. No previous experience is required for any of the tours, but the company is also happy to cater to more advanced kayakers and paddleboarders. 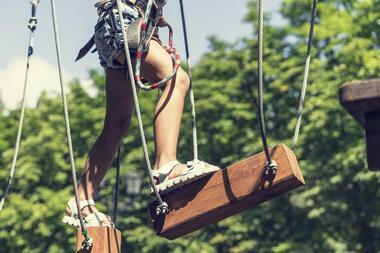 Only half a mile away from the Currituck Lighthouse, the Corolla Adventure Park is an exciting aerial adventure park with 11 unique obstacle courses suspended between 12 and 50 feet in the air. There are approximately 60 different obstacles and ziplines in total, and all climbers wear a full-body harness to ensure their safety. The family-friendly courses are divided into four levels of difficulty, and there's something suitable for most people over the age of 4. Visitors are given 2 hours to enjoy the park, and reservations are encouraged between the months of June and August. Established to protect the remaining parts of the first English settlement in the United States, the Fort Raleigh National Historic Site is located on the northern end of Roanoke Island. The park's visitor center offers exhibits that tell the story of the island's Native American and English history; it also features a theater that plays a short film. 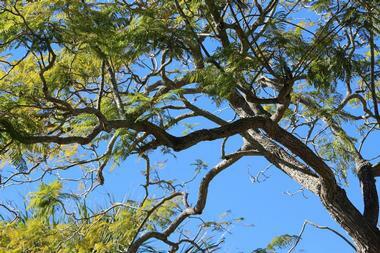 There are several short walking trails that allow visitors to enjoy the beauty of the site's maritime forest. The park is open to the public all throughout the year, and an outdoor drama is held onsite every evening during the summer. Spotting ghost crabs isn't nearly as spooky as you might think, and the Ghost Crab Quest is a fun activity that the whole family will enjoy. 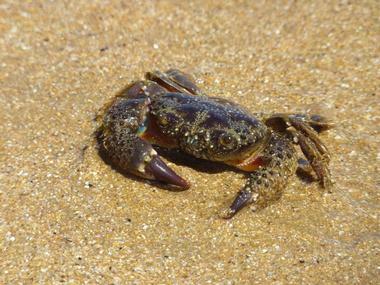 Led by experienced guides, the tours give visitors the chance to spot and photograph the ghost crabs that inhabit the local beaches. The quests take place at the Sea Ranch Resort every Sunday evening during the summer, and the entire trip lasts approximately 1.5 hours. 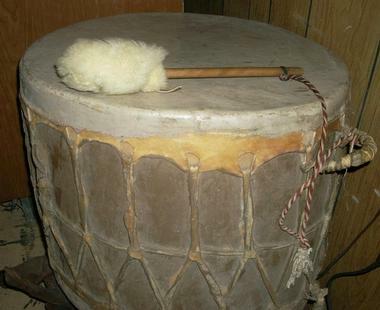 Each tour has space for up to 20 participants of all ages, and all equipment is included in the price of the tour. The Outer Banks have a rich maritime history, and many of their stories are told in the Graveyard of the Atlantic Museum. The museum's exhibits focus on topics like the area's shipwrecks, pirates, explorers, and involvement in the American Civil War; highlights include a German Enigma machine rescued from a sunken submarine during World War II and an exhibit on General Billy Mitchell. 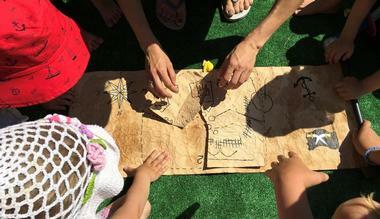 Special events and programs are held on a regular basis, including a daily scavenger hunt suitable for visitors of all ages. Admission is by donation, and the museum is open every weekday. 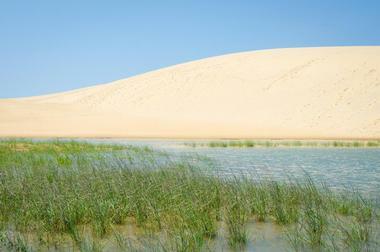 Encompassing 426 acres in Nags Head, Jockey's Ridge State Park boasts the highest natural sand dune system in eastern America. In addition to admiring the impressive dunes, visitors can fly kites, go birdwatching, watch the sunset over the sound, and stroll along the nature trails that crisscross the park. Overnight camping is not permitted in the park, but visitors are welcome to relax at one of the park's beautiful and well-maintained picnic areas during the day. The park is open every day except Christmas Day, and there is no admission fee. The sand dunes of Jockey’s Ridge are an excellent place to hang glide, and the Kitty Hawk Kites Hang Gliding School has been offering hang gliding lessons here for more than 25 years. The standard beginner lessons last 3 hours, including 1 hour of ground school, and there will never be more than five students per instructor. Students can choose from packages that include either three or five individual flights down the dunes; photo and video footage are available for an additional fee. 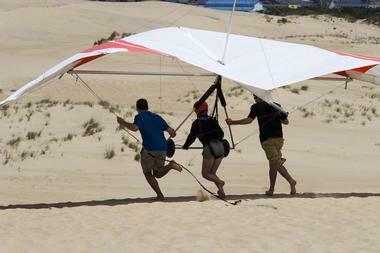 Tandem flight packages are also offered for anyone who wants to fly above the dunes while strapped to a qualified pilot. Based out of a beautiful location on the Currituck Sound, Nor'Banks Sailing & Watersports is a complete watersports center that has been providing visitors with excellent service since it was first established in 1979. 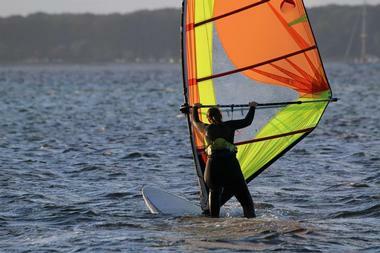 The company offers the opportunity to try almost every watersport imaginable, including parasailing, kayaking, standup paddleboarding, wakeboarding, sailing, and many more. Private sailing lessons are available for both groups and individuals, and the company is proud to offer exciting WaveRunner tours through the islands in the northern sound. 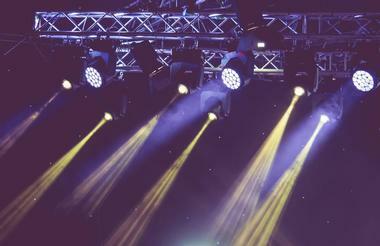 All equipment is held to the highest safety standards, and bookings can be made online, over the phone, or in person. Situated inside a 68,000-square-foot complex, the North Carolina Aquarium on Roanoke Island was built to introduce visitors to the aquatic life of the Outer Banks that they might otherwise never see. 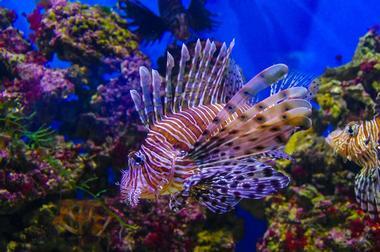 The aquarium is divided up into a number of galleries, each of which concentrates on a different aspect of the aquatic world or the maritime culture of the Outer Banks. In addition to seeing marine life like alligators, otters, sea turtles, and even sharks, visitors will be given the opportunity to touch starfish, crabs, sea urchins, and two different types of harmless stingray. 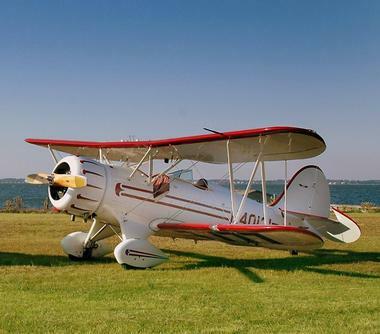 Seeing the Outer Banks from the air is an adventure you'll never forget, and OBX Airplanes offers the opportunity to enjoy this amazing experience from inside unique aircraft like an old-fashioned biplane with an open cockpit, an air-conditioned helicopter with plenty of windows, and a single-engine aircraft that dates back to World War II. Tours are available almost every part of the Outer Banks, but the pilots are happy to arrange custom flights if you're interested in seeing different sights. The aircraft can accommodate up to three people, and acrobatic flights are sometimes available depending on the chosen route and aircraft. 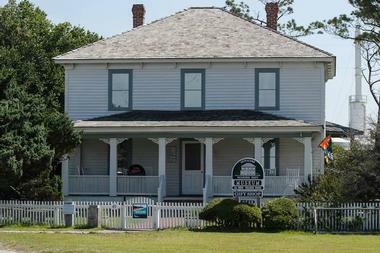 Housed inside a building that was constructed in the late 19th century, the Ocracoke Preservation Museum is the place to go for anyone interested in learning about the rich history of Ocracoke Island. Hours vary according to the season, but special talks are held every Tuesday and Thursday during the summer months. The museum also often puts on exhibits of work done by local artists. Other attractions include a gift shop and a research library full of information on local history and genealogy; visitors should be aware that this material is only available for viewing if arranged in advance. Established in 1938 as a safe place for migratory birds to spend the winter, the Pea Island National Wildlife Refuge encompasses more than 5,800 acres of land and approximately 25,700 acres of water. There are two nature trails in the park, one of which ends at a two-story tower that can be climbed for excellent views of the park. 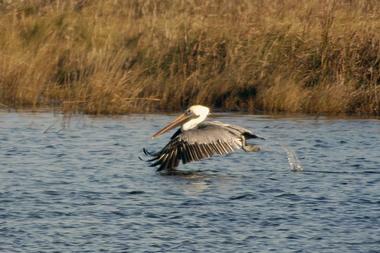 Some visitors also choose to walk along the service road that goes around the North Pond. The visitor center offers free admission and a variety of educational exhibits, and guided canoes tours and interpretive walks are available during the summer months. 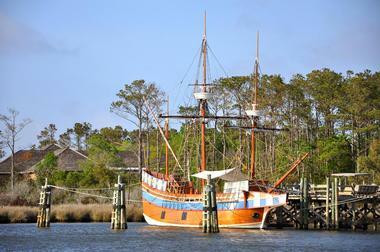 As the name applies, Pirate Adventures of the Outer Banks is a tour company dedicated to providing a real-life pirate-themed adventure complete with sunken treasure and a mysterious message in a bottle. The attraction is open to visitors of all ages, but it's primarily aimed at children between the ages of 3 and 10. Discounted admission is offered for those under the age of 2. Tours take place every day of the week between Memorial Day and Labor Day, and reservations are strongly recommended to ensure a spot on one of the six daily sailings. Sitting on a 25-acre island that can be accessed by bridge from downtown Manteo, Roanoke Island Festival Park is a fun way to celebrate and learn about the first English settlement in the United States. The park is divided into several distinct sections; highlights include a replica of a 16th century sailing ship, a Native American Town, and a settlement site with blacksmiths and woodworkers. Visitors will also be entertained by plenty of living history performers that can be found wandering throughout the park. Admission tickets are valid for two days, and it typically takes visitors around 3 hours to explore the park. Also known simply as the Roanoke Colony, the Lost Colony was a short-lived English colony that was established in 1587 and mysteriously abandoned less than three years later. No one knows exactly what happened to the 117 people who briefly called Roanoke Island their home, but every year, an experienced theatrical team recreates the story on the exact site of the former colony. Shows typically take place on the last week of March and the first week of April, and visitors are advised to buy their tickets well in advance. Backstage visits, VIP passes, and pre-show dinners are available at an additional cost. Wild horses descended from Spanish mustangs are one of the most incredible sights the Outer Banks have to offer, and Wild Horse Adventure Tours has exclusive access to the Wild Horse Sanctuary in Swan Beach, where visitors will be able to see the horses in their beautiful natural habitat. The company offers tours in its uniquely customized open-air Hummers, and it prides itself on taking visitors to immaculate northern beaches that can only be reached with a 4x4 vehicle. 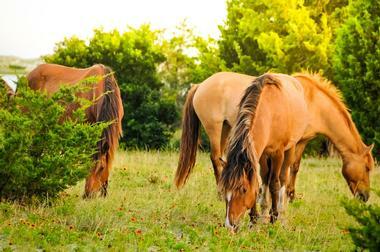 Horse sightings are guaranteed; the company will refund your money if they're unable to find the ponies on your tour. Owned and operated by an experienced and passionate birdwatcher, Wild Skies Birding Tours is an excellent experience for anyone interested in seeing and identifying the many species of birds found in the Outer Banks. 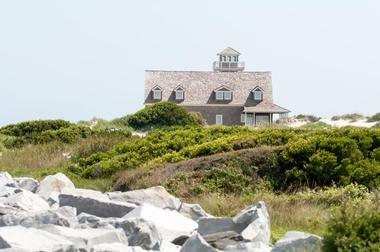 Bird sightings are not guaranteed, but the 90-minute tours also include plenty of information about the history of the Outer Banks and the other plants and animals found in the area. 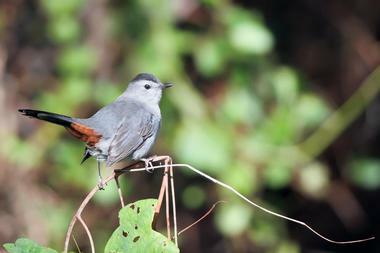 Binoculars are included, and guests are given the choice between Kitty Hawk Woods and Nags Head Woods. 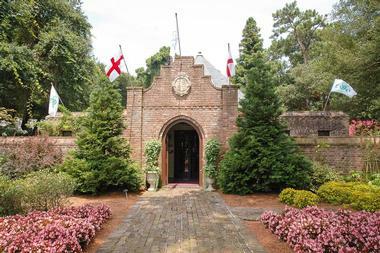 Tours take place Monday through Thursday, last approximately 90 minutes, and can accommodate up to six people. 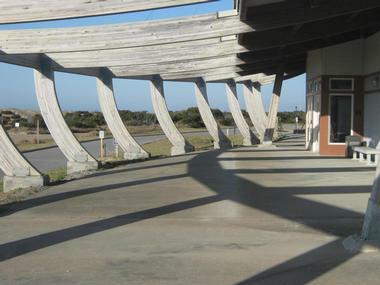 Built in 1962, the Avon Fishing Pier holds the honor of having been the first pier on Hatteras Island. Over the years, the wooden 600-foot pier has played an important role in establishing the Outer Banks as an exceptional destination for fishermen; one of the most impressive events took place in 1984, when a record-breaking 94 lb. red drum was caught off the pier. Fishermen still flock to the pier in the hopes of catching their own giant red drum, but the pier also attracts visitors interested in going for a stroll and enjoying the beautiful view. 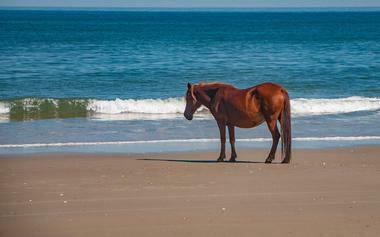 The Outer Banks are home to a species of feral wild horse found nowhere else in the world: The Banker horse. Viewing these beautiful wild animals is a once-in-a-lifetime opportunity, and Back Country Safari Tours is one of the best possible ways to do so. As one of the oldest and best-established tour companies in the area, they have helped establish protected areas for the horses and they have access to large swaths of land that no other tours can enter. Tours are led by experienced professional guides, and guests can choose from transport options that include a 4x4 safari cruiser, Segways, and kayaks.